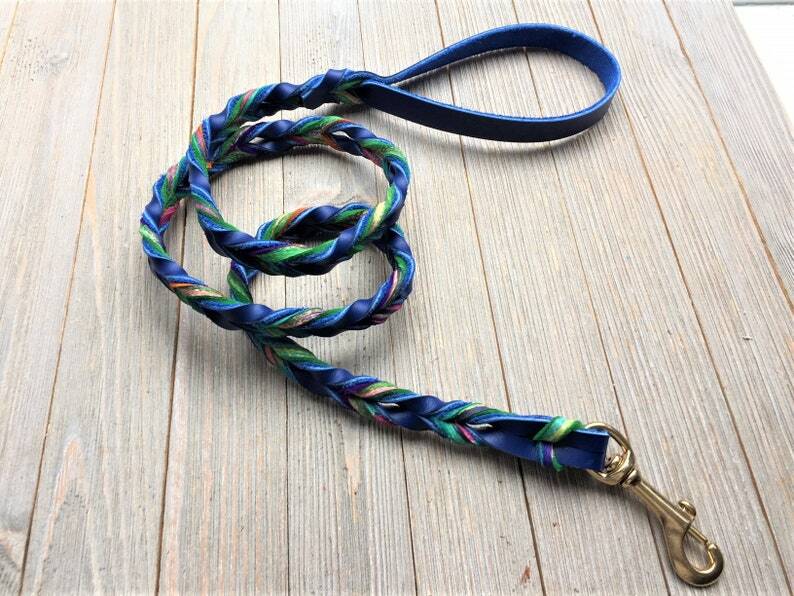 This listing is for a fully braided leash in the color royal blue and tie dye with a nickle snap. Picture shows brass snap which is also available. Fantastic leash! Used it at a dog show this weekend! 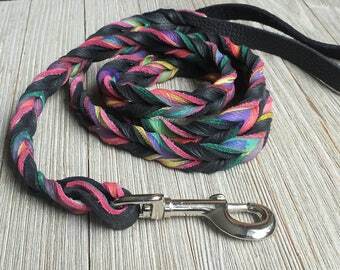 Beautiful, soft, strong leash. Customer service is friendly and fast. This is my third leash from DingDog.